Bass guitarist and vocalist Graham Lewis identifies another trait that has run throughout the group’s lifetime. “People said we were mysterious, arch and dark. But the only way of doing that successfully, is by also having a sense of humour. You have to have that balance. With Wire there’s a peculiarity, a contrariness and that can be funny." Their 13th studio album - simply titled Wire – comprises material that was written with the album in mind, but toured extensively first, as well as songs that Newman introduced to the group in the studio just prior to recording. The idea was to get the most spontaneous reaction possible from the musicians, and far from the rough and ready results one might expect from such a tack, Wire is full of swooning pop melodies with a 60s tinge and an irresistible, near motorik rhythmic momentum. 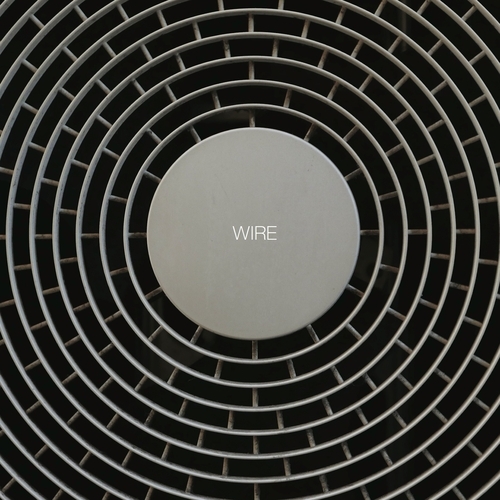 One can recognise certain melodic inflections, guitar and bass motifs, and drum rhythms from Wire’s idiosyncratic vocabulary but it has a remarkable freshness. The basic tracks were recorded at Rockfield Studios near Monmouth, with overdubs added at Brighton Electric last December following the group’s DRILL : BRIGHTON Festival. The 11 tracks selected for release were the ones that came together most naturally. From the outset Wire was an alliance between four very different characters and continues today with the addition, in 2012, of It Hugs Back guitarist Matthew Simms, who is around thirty years younger than the other group members. “With Matt there was a really new dynamic that had appeared in the group’s sound and that was something we wanted to capture, utilise and be creative with,” says Lewis. Wire is the first album where Simms has been involved in formulating the material from the ground up, but when the group’s particular chemistry starts working he is now very much part of the process. Lewis also provides most of the lyrics for the album, their subject matter encompassing love songs, cryptic narratives and coded messages. One time, Newman asked Lewis to send over some unfinished, unformatted text so he wouldn’t be bound by what to use for the chorus. This material spawned two songs written on the same day, ‘Split Your Ends’ and the droll ‘In Manchester’. The latter has one of the album’s loveliest melodies, but it’s no coded paean to the city in its Baggy heyday. Instead this process led to the disorientating and rather absurd situation of having “In Manchester” as a soaring chorus, when the song is not about Manchester beyond a single line in the lyric. As the album progresses, some of the sunlit pop tunes become more shadowy and it ultimately plunges into the musical black hole of ‘Harpooned’, eight churning minutes of the group’s darkest, most abrasive music to date, and a favourite in live performances since 2013. Wire will be launched by the fourth event in the band's DRILL series entitled DRILL : LEXINGTON - five nights (14-18 April) at the Lexington in London with Wire headlining, plus a different "curated" support each night. This will be followed by a UK & US tour. Further dates & events will be announced soon.